Mysuru: “There are many incidents that have occurred in history both in the State and the country and it is very important to do research regarding these incidents,” said University of Mysore In-Charge Vice-Chancellor Prof.C. Basavaraju. 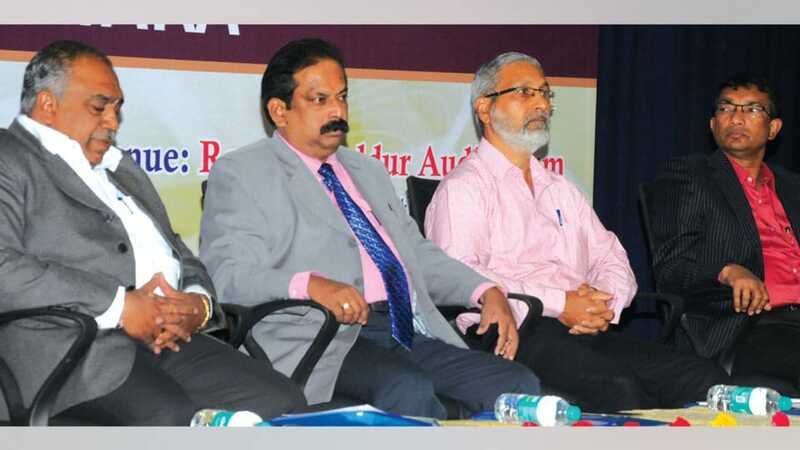 He was speaking after inaugurating a two-day seminar on ‘Trends in Historiography of Ancient and Medieval Karnataka,’ organised by the Department of Studies in History, University of Mysore, at the Rani Bahadur Auditorium here recently. During that period, many kings and warriors have ruled and many have looted the kingdoms. Hence it is interesting to learn what impact their rule had on the people, he added. This requires a lot of research and only through it can one understand history properly, he said. Many important events have occurred which has influenced culture, civilisation, tradition, people’s walk of life and all these have to be recorded and only then will the future generation understand the values and ethos of the past, he said and added that if this does not happen, then it would be lost to the coming generations. History students and research scholars participated in the seminar. University of Mysore’s Prof. G. Hemanth Kumar, Chairman of the Department of History and Archaeology of Kuvempu University Prof. Rajaram Hegde and UoM’s Department of Studies in History Chairman Prof. Y.H. Nayakwadi were present. Papers on Karnataka History were presented by Dr. V. Shoba, Prof.K. Sadashiva, Prof. Hanuma Naik, Prof. I.K. Pattar and on Karnataka Medieval History by Prof. Ashwathanarayan, Prof. Rajaram Hegde, Prof.Y.H. Nayakvadi, Prof. Shekar Mastan, Prof. Mahadevi and Prof. N. Saraswathi.